The Angel Academy of Teaching & Training is like no other - it is the centre of excellence! With over 20 years teaching experience in all areas of beauty and therapy, our courses are privately written with our students in mind. Our manuals are colourful and instructional and our learning environment and tutors offer the most reassuring and comfortable learning environment. That is why our students tend to study as many courses as they can with us spanning many years. Our students benefit from a peaceful environment and tutors who absolutely love their job. This coupled with the fact that we are accredited by VTCT and BABTAC, makes The Angel Academy of Teaching & Training unique and like no other. Call us today on +44 (0)20 8508 2243. Angel Academy of Teaching and Training' which she founded in 2003. With 80 accreditation's she is still an International Trainer, Tutor, IQA and Assessor. Deborah offers a unique way to learn in a unique environment which offers small classes and very personalised tuition. 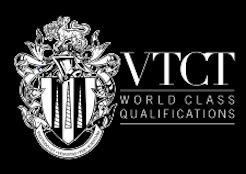 Her College 'The Angel Academy of Teaching and Training' offers 100 courses offering accreditation with VTCT, NVQ, ITEC and BABTAC. The AATT is the ONLY accredited centre to offer exclusive FAST TRACK training courses. Her students are mature, looking for a career change, have children who have grown up or would like to run a business around their younger children. 'Women should be celebrated and recognised for their talents and beauty at every age and this is something I have set out to change' says Deborah. Deborah has enabled everyone to benefit from learning beauty and therapy skills by setting out to produce a book series that will provide invaluable information at a competitive price. Hot stone massage techniques with client in prone position. Want to maximise your training investment? We can visit your spa or salon and conduct training there, so your staff are still available for clients. The AATT have successfully trained spa/salon staff throughout the UK and Europe. Below are a few testimonials from very satisfied spa/salon managers. Overall I am so pleased with the entire process from the enquiry to the end of the training. It was nothing short of brilliant, and I would not hesitate to recommend Â‘The Angel AcademyÂ’ to any Salon or Spa requiring Holistic Training. Liverpool Fashion and Beauty Awards THE LIVERPOOL FASHION AND BEAUTY AWARDS 2017 What an Incredible Event, Amazing People AND I WON AN AWARD for â€˜Best Training Providerâ€™ for my Beauty School: www.angel-academy.co.uk The Angel Academy of Teaching and Training’ was founded by Deborah Jay Kelly (Actress/Red Carpet and Fashion Presenter), after identifying a loophole in the Beauty/training industry, she founded The AATT in 2003. It is the ONLY school to offer ‘FAST TRACK’ learning to Students of every Colour, Creed, Country, Age and are proud to have 100′s of satisfied students. The learning environment is unique, class groups small and support has gained recognition in the industry which has led to WINNING yet another AWARD for ‘Best Training Provider’ 2017. A huge Thank You to the immensely talented Amanda Rachel Moss for single-handedly organised this wonderful night of Fashion Shows, Singers and of course Awards.